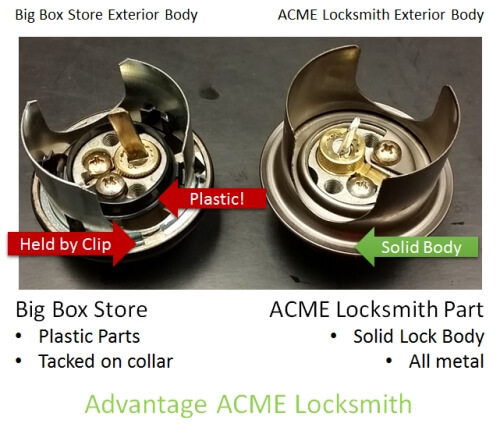 Why You Should Buy Locks from a Locksmith. 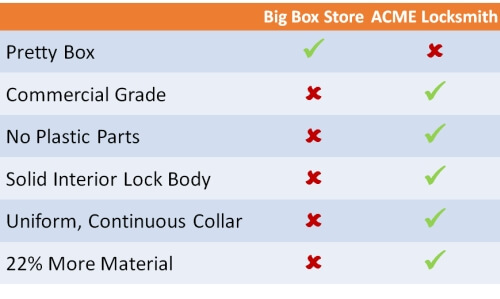 Big Box Store Locks vs Locksmith Locks | What Do You Value? Think that big box store is saving you money? Which Deadbolt Do You Want Protecting Your Home? 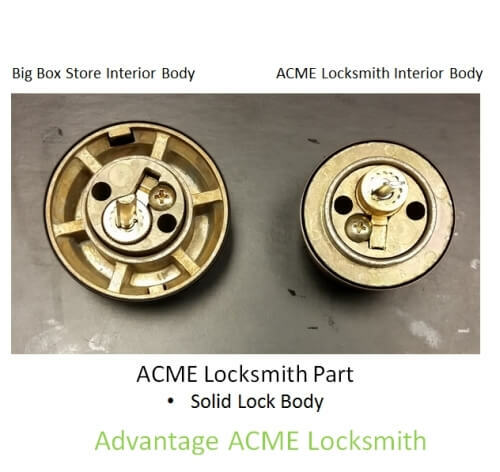 ACME Locksmith’s Default Lock vs the Big Box Store Lock – These locks have the same part number but are not created equal. 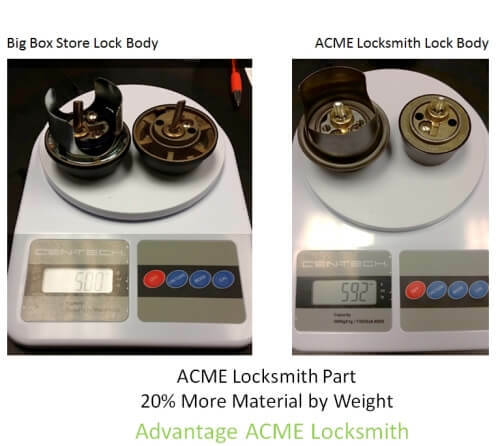 ACME Locksmith calibrates our key making machines daily, home improvement stores don’t because they don’t have someone in the store that knows how. Home improvement stores, to their credit, are busy places. For you this means waiting for service. And, if they make a bad key, sell you the wrong product, or don’t have the key you need, you’ve completely wasted your time. Unfortunately, home builders and home warehouses aren’t focused on home security. They want products with the highest profit margin and/or volume. This often means selling inexpensive locks, that can be easily bypassed. lock bumping . This type of lock is on well over 90% of Phoenix area homes. 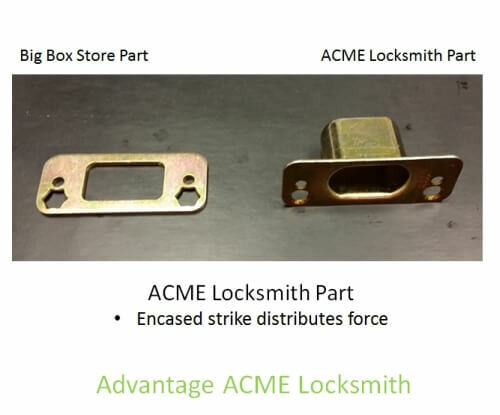 The lock on the left, however, has a steel reinforced core, thicker bolts, and the latest in pick and bump resistant technology. 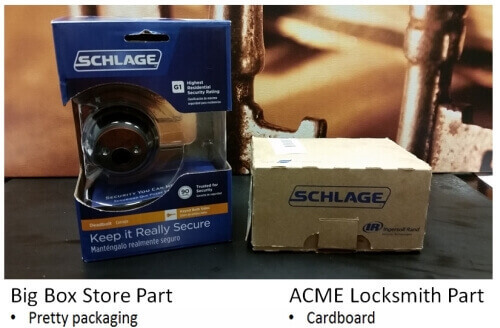 The lock on the left is a Schlage Light Commercial Grade Lock. Which one do you want protecting your home?